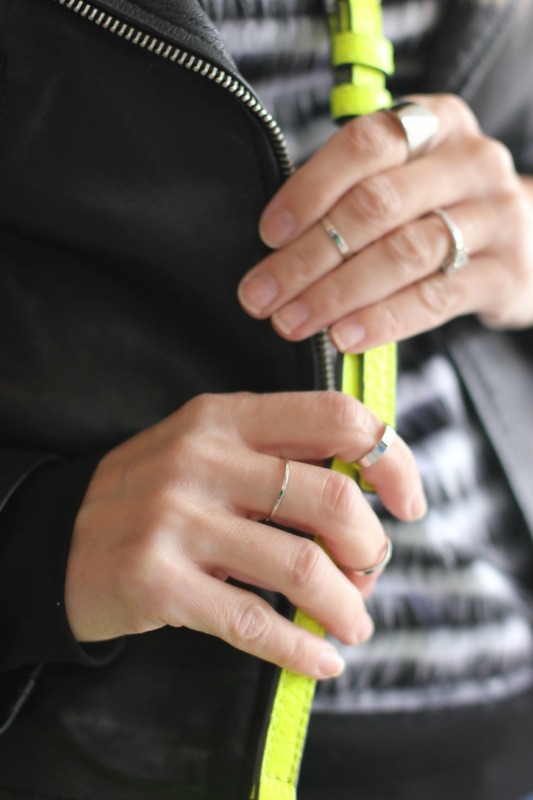 this week's fashion friday pairs together two of my favorite things, neon and leather. 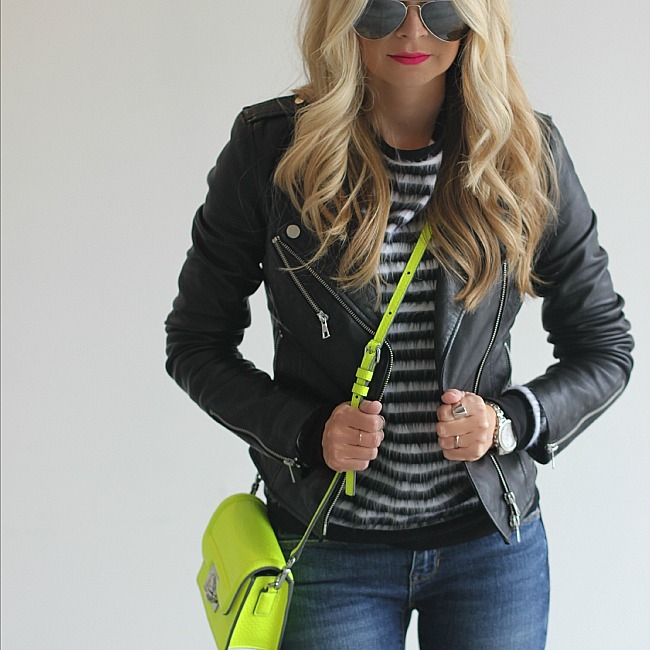 i think everyone's wardrobe needs a pop of neon and one of my wardrobe essentials is this leather jacket. the combination of the two is unstoppable! check out the widget below for shopping information.